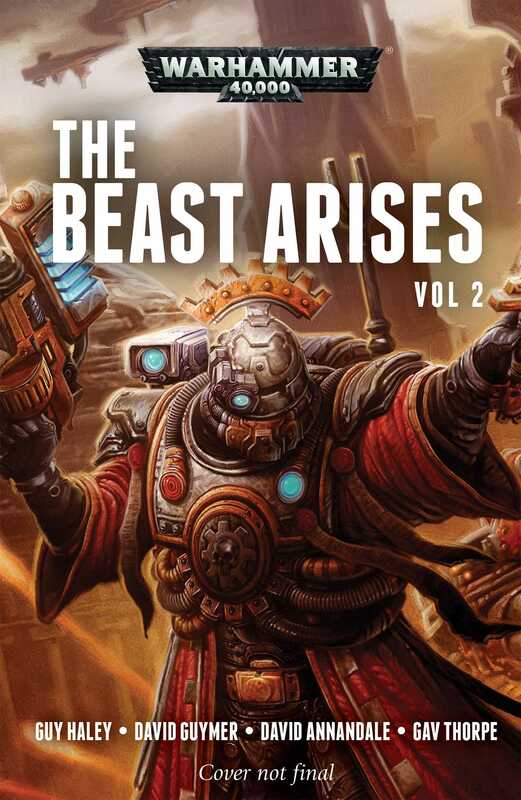 The second volume, containing books five to eight, in the epic The Beast Arises series, as the Imperium struggles to survive against the growing galactic threat of the orks. The Imperium’s situation has never been more grim – an ork attack moon hangs over Terra, and ork armadas ravage human space. It seems nothing can stop the greenskins – neither brute force, science, nor faith. When the Adeptus Mechanicus reveal they have discovered the orks’ point of origin, the Space Marines gather their forces for a massive assault on their enemy’s home world. But what the Imperial forces need is a figurehead, a hero from legend to lead them – a primarch. Can one these figures from legend be found, let alone persuaded to aid them?"}" style="font-size: 10pt; font-family: Arial; color: rgb(0, 0, 0); text-align: center;">‘The Beast Arises’ is an epic Warhammer 40,000 series from Black Library. Spanning twelve volumes, the story covers a galaxy-wide conflict between humanity and a massive ork invasion. The Imperium’s situation has never been more grim – an ork attack moon hangs over Terra, and ork armadas ravage human space. It seems nothing can stop the greenskins – neither brute force, science, nor faith. When the Adeptus Mechanicus reveal they have discovered the orks’ point of origin, the Space Marines gather their forces for a massive assault on their enemy’s home world. But what the Imperial forces need is a figurehead, a hero from legend to lead them – a primarch. Can one these figures from legend be found, let alone persuaded to aid them?